You'd sooner solve global hunger or gender inequality than get San Franciscans to agree on who the best coffee roaster in the Bay Area is. 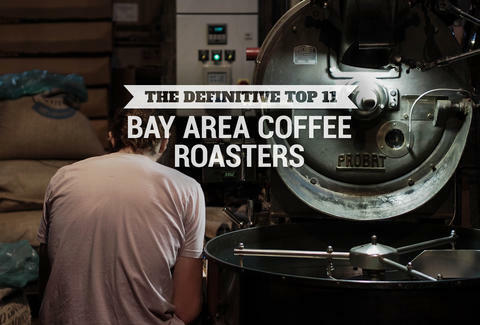 Which’s why we didn’t ask just any old San Franciscans, but instead eight coffee industry experts -- they individually ranked their top 11 coffee roasters in the Bay Area, we added up the votes, broke any ties, and ended up with this: a definitive ranking of the Bay Area’s best coffee roasters. 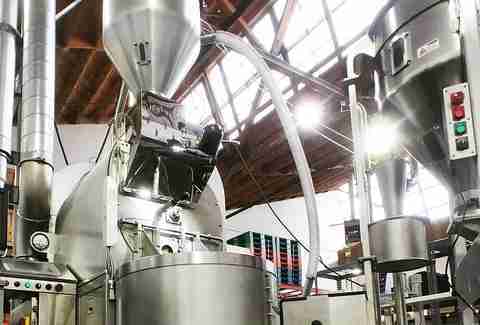 Simplicity is the name of the game at this Potrero Hill roaster, whose former life as a loading dock dovetails with the company's back-to-basics approach. Single-origin roasts from Ethiopia and Indonesia are tasted over and over again to ensure quality and consistency, then up rolls the garage door and it's up to the beans to do the rest. Of course, nothing is ever quite as simple as it seems -- the cafe currently "fronts" and shares ownership with a production house and robotics company. Twelve years after business partners Brooke McDonnell and Helen Russell started Equator out of their Marin County garage, they started their first coffee farm project, Finca Sophia. Now that the Panamanian farm is ready to yield its first harvest, expect the roast to join a lineup that includes custom blends for none other than the Thomas Keller Restaurant Group, who tapped Equator to supply Bouchon, Ad Hoc, and The French Laundry in Yountville, as well as New York’s Per Se. 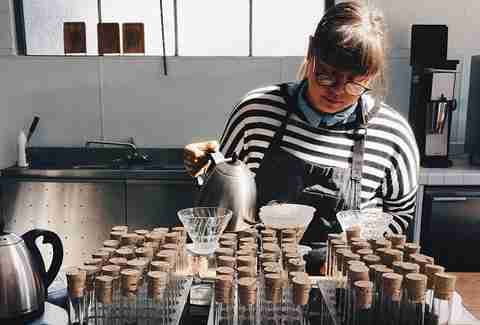 Since opening in Outer Sunset in 2014, Michael McCrory and Lauren Crabbe’s Andytown has been busy filling the void in a neighborhood underserved by local coffee roasters. Beyond coffee, McCrory puts his Irish heritage to the fore with a traditional soda bread inspired by his late grandmother, as well as a selection of baked goods crafted by pastry chef Jenn Dearden. Brothers Jerad and Justin Morrison boast a strong coffee pedigree, with ties to Blue Bottle and Four Barrel, but their talents truly coalesced with the opening of a kiosk in 2009, followed by the opening of a full-on Sightglass coffee bar in 2011. They’ve kept the heat on ever since, and they’ll soon add two new locations to their growing empire: a stand-alone at Divisadero and Page and a partnership with the soon-to-reopen SFMOMA in 2016. 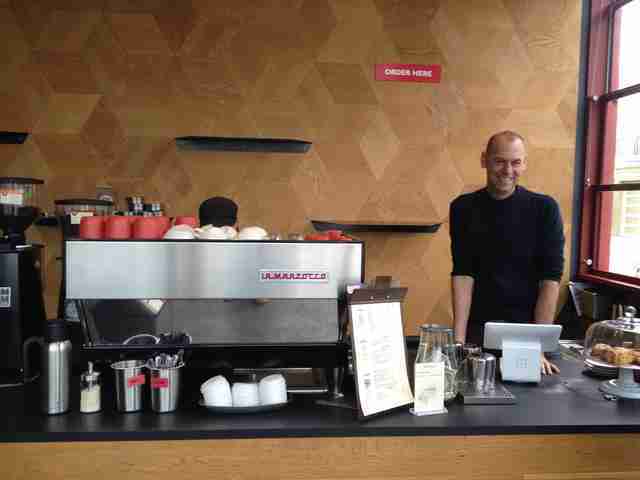 This Mission coffee bar served waffles and salads before it ever served coffee, which tells you something about the all-encompassing experience Ecco Caffe founder Andrew Barnett was trying to create when he opened Linea in 2013. 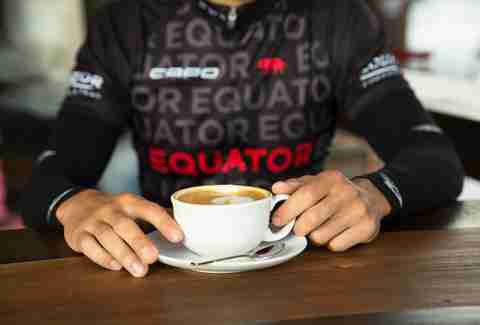 Eventually Barnett, who has judged both the Cup of Excellence and World Barista Championship, capitulated to the drip coffee crowd, bringing in micro batches from Brazil, Ethiopia, Guatemala, and El Salvador, as well as an ever-controversial decaf blend. 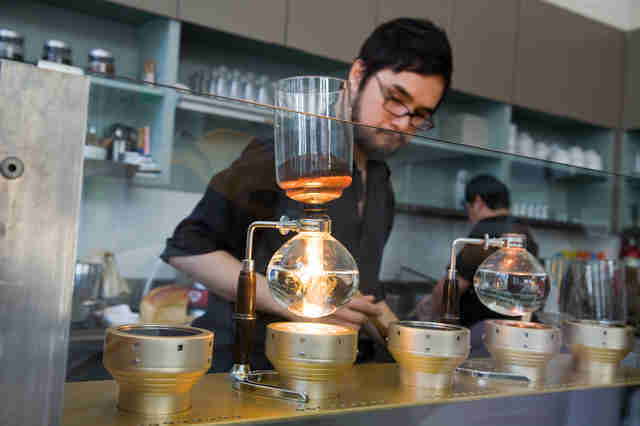 If you need an example of how far the Bay Area’s coffee scene has come, look no further than Blue Bottle, which opened its first Tokyo location earlier this year. (There’s already a second, with a third on the way.) What sets James Freeman’s global juggernaut apart is its simplicity: each cup is individually brewed, in the same size, without custom flavors. While Blue Bottle will likely never win over the pumpkin spice latte crowd, its investor base, many of whom rank among Silicon Valley’s elite, is betting big on its expansion. Supersonic’s Berkeley roastery is not yet open for coffee service, but not to worry -- they're in the process of restoring a vintage Airstream trailer they hope to turn into a full-on coffee bar in the near future. 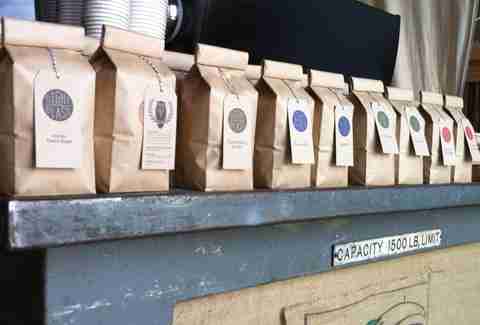 In the meantime, they’ve hosted occasional cupping events and pop-up locations, and in addition to their online store, you can find their African- and Central American-sourced roasts everywhere from San Francisco to (no joke...) Sweden. How does a coffee shop without Wi-Fi that once requested patrons not Instagram a sign of rules even exist in our tech-dependent culture? By being uncompromising in its values, that’s how. Since 2007, Four Barrel founder Jeremy Tooker has carried the flag for light roasts, single origins, and a soundtrack dominated by vinyl instead of carefully curated Spotify playlists. His 1957 German-made Probat UG-15 produces 12 separate roasts, which are categorized by notes of everything from baked pear to Campari. 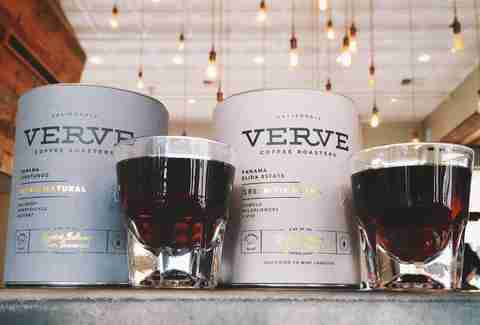 Roasting out of an old wetsuit factory that shares its space with a skateboard company and a rock climbing gym, Verve has every right to be the coffee equivalent of the X Games, focusing more on the thrill of the ride than the finished product. 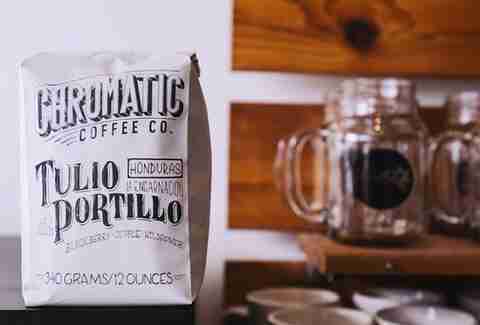 That it's not is testament to the passion of co-owners Colby Barr and Ryan O’Donovan, who traveled everywhere from Costa Rica to Ethiopia sourcing the roasts, which they refine at their neighboring Seabright “laboratory” coffee shop. 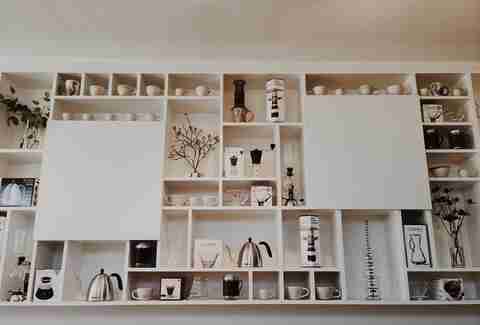 For many San Franciscans, Ritual is just that -- a daily custom that plays out across three brick-and-mortar locations and hundreds of partner coffee shops and retailers. 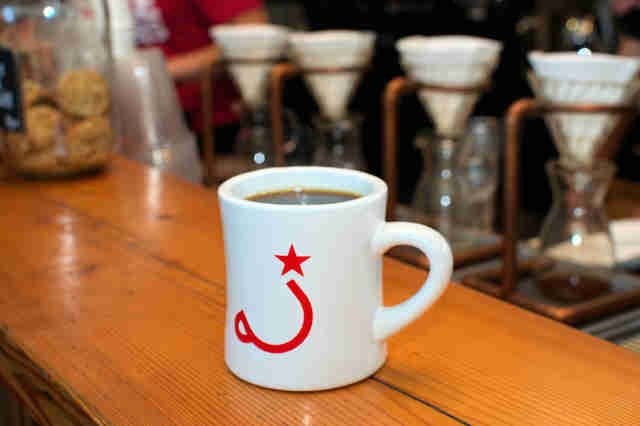 Owner Eileen Hassi Rinaldi keeps the emphasis where it’s been since 2005: on the individual farmers of Central American and sub-Saharan Africa, whose roasts hit the market in striking black-and-red bags with Ritual’s signature hammer and sickle-meets-coffee cup logo. When James Warren and Hiver van Geenhoven left one prominent Silicon Valley coffee roaster to form another, they put the focus where you’d least expect -- on the water. Chromatic’s modified espresso machine currently plumbs three separate types of H2O, including a variation that produces a light Scandinavian-style roast from the South Bay’s notoriously hard water. Their DIY spirit extends to all aspects of the operation -- they customized the hot-stamp press that prints their bag graphics and even welded their own steel tables for a 2013 barista competition. Talk about dedication to the craft. 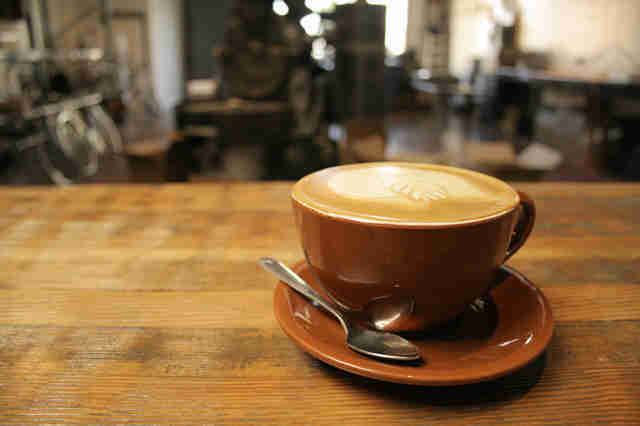 Jack Houston is a San Francisco-based writer who's already at work on a follow-up piece, The Top 11 Bay Area Coffee Shop Wall Outlets, Ranked by Closeness. Help him help you stay charged on Twitter at @jackhoust.